I’m about to get serious with social media. This past May I was privileged to be on a Media FAM hosted by the Georgia Department of Economic Development and their partners, Georgia’s Lake Country and Northwest Georgia. During the trip, quite a few writers were taking pictures with their smartphones and posting those images on their blogs and websites. I too have a smartphone, although admittedly I’m not the most technologically gifted. So, when some of these folks came up for air, I’d start a conversation to find out what they were doing. I discovered that those posting regularly were mostly writing messages directed at family travelers. There was a certain immediacy to their posts, almost like “Here’s what’s going on the next few weekends.” Of course, what we author at Leisure Group Travel is directed to the group tour industry. We’re a trade publication and although our readers may be delighted to hear what’s going on this weekend in Northwest Georgia, there’s little they can do about getting a group there. Granted, I do post on my personal Facebook when I return from a trip. The delay is necessary because if my friends knew I was out of town, I might be missing a few Adirondack chairs upon returning home. Seriously, there has to be a way for a trade publication to become proactive in social media. Almost weekly we have a writer, editor or publisher on the road. We travel nationally and internationally to some of the coolest destinations in the world. It might be up to six months to even a year before those trips appear online or in print. I honestly believe many of our readers would find our travels interesting. I do not mean we’d burden them with 1,000-word articles on social media sites. What I am implying is posting regular short snippets along with a photograph of things we find of particular interest in a destination. A more in-depth story would follow online or in print. There is just one minor problem with this whole idea. I do not have a clue how to do all these things. All I know is that I am primarily writing about the Southeast and I’m fortunate to travel to some really great places. I’d like to share some of the experiences. Enter Lance Harrell to save the day. Lance is the director of online media here at Premier Tourism Marketing. He’s probably forgotten more about online then I ever knew. In particular, he understands social media and how it can benefit our readers. By the time you read this column in the August 2013 issue of Leisure Group Travel, it’s my hope you’ll already be following us on our Facebook page – “Group University” and our Pinterest page – “Group Traveler.” You can always follow me on my personal Facebook page, but remember I do not post until I return home. I have to keep an eye on those Adirondack chairs. 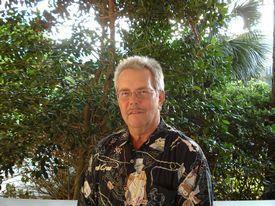 At Premier Tourism Marketing we are fortunate to have Lance lead our online efforts. Not every company is so privileged. However, a few words of advice are in order. Social media is here to stay and becoming more and more a part of the business world. No longer can we afford to ignore social media, or worse, handle it like a second-class media. Gone are the days that the college intern handles this important duty. It’s now time to hire a professional. You may want to start by hiring an outside group to handle your social media, just like you might have an advertising company help with traditional media. Regardless of how you approach social media – with either a dedicated employee or outside agency – remember two basic points: First, do not put social media off any longer. And most importantly, if I can figure it out, you certainly can.